In Volume Two of Anarchism: A Documentary History of Libertarian Ideas, I included two pieces by Noam Chomsky, “Notes on Anarchism” (1970) and “Intellectuals and the State” (1977). 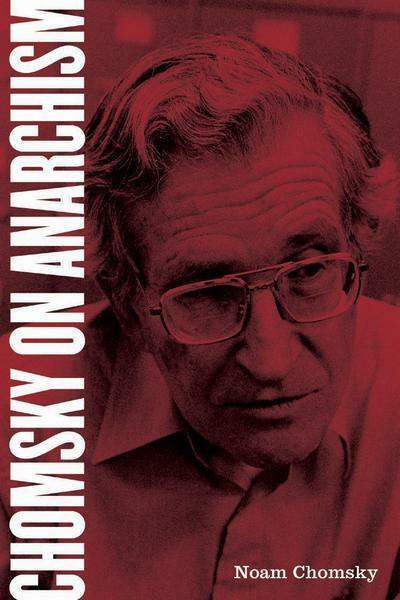 “Notes on Anarchism,” which was used as the introduction to Daniel Guérin’s Anarchism: From Theory to Practice, has also been reprinted in Chomsky on Anarchism, published by AK Press in 2005, together with many other articles by Chomsky on anarchist themes. “Intellectuals and the State” sets forth Chomsky’s critique of the role of intellectuals in helping to “manufacture” the consent of the people to their own subservience and exploitation, building on Bakunin’s critique of intellectuals as a new class and the rise of techno-bureaucracy. Volume Three of Anarchism will include a 1975 selection from Chomsky on “Human Nature and Human Freedom,” in which he relates Bakunin‘s conceptions of human nature and human freedom to Chomsky’s own theories of mind and language. I wrote the following commentary on Chomsky’s contributions to anarchism for a special issue on Chomsky in Social Anarchism, No. 39 (2006). In the interview with Peter Jay included in Chomsky on Anarchism as “The Relevance of Anarcho-Syndicalism,” Noam Chomsky describes himself not as an “anarchist thinker,” but as “a derivative fellow-traveller” (page 135). I think this is a fair assessment. While Chomsky has often expressed his sympathies with socialist currents in anarchist thought, for the most part he has avoided making any direct contributions to anarchist theory. On many occasions he has expressed his doubts that anarchism can or should even be considered a “philosophy,” a term he is uncomfortable with, regarding those anarchist ideas he finds worthwhile simply as common sense (page 181). On those rare occasions when he has written about the possible connections between his theory of language and human freedom (as in “Language and Freedom,” also included in Chomsky on Anarchism), Chomsky’s statements are very modest, tentative and exploratory. When I interviewed him in the early 1980s for the anarchist newsjournal, Open Road, he cautioned me that he did not argue that his linguistic theories have revolutionary implications; rather his point was that “they are merely suggestive as to the form that a libertarian social theory might assume”(Language and Politics, page 394). “I feel that far too little is understood to be able to say very much with any confidence. We can try to formulate our long-term visions, our goals, our ideals; and we can (and should) dedicate ourselves to working on issues of human significance. But the gap between the two is often considerable, and I rarely see any way to bridge it except at a very vague and general level” (Tom Lane interview, ZNet, December 23, 1996). Consistent with his general libertarian approach, when people ask Chomsky that perennial question, “what is to be done,” Chomsky unlike Lenin and scores of others, tells them this is something they must decide for themselves. Many people are disappointed by this kind of response, expecting Chomsky to show some leadership here, but he does offer his own opinions and suggestions on general strategies for social change, including his controversial proposal that anarchists should work to strengthen democratic state power as a way to combat and constrain the private tyranny of capitalism, without losing sight of their long term vision of a free, stateless society (page 193). two great currents… Socialism and Liberalism,” such that “anarchism may be regarded as the libertarian wing of socialism” (page 123). Chomsky identifies most closely with anarcho-syndicalist currents in anarchist thought, regarding the decentralized, communitarian anarchism of people like Kropotkin as “pre-industrial,” whereas the anarcho-syndicalist approach is seen by him as a “rational mode of organization for a highly advanced industrial society” (page 136). Chomsky is also very sympathetic to left-wing Marxism, such as council communism, which he argues is closely inter-related with anarcho-syndicalism (page 136). But where Chomsky most directly draws from anarchist ideas is in his criticisms of the role of intellectuals in modern societies. Unlike most academic commentators, Chomsky isn’t afraid to acknowledge Bakunin as one of the first and most perceptive critics of the “new class” of intellectuals who seek to create, in Bakunin’s words, “the reign of scientific intelligence, the most aristocratic, despotic, arrogant and elitist of all regimes” (page 151). 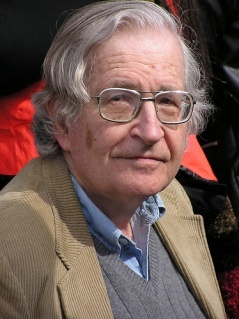 Chomsky himself has been relentless in exposing the role of intellectuals in seeking to maintain and expand authoritarian and hierarchical modes of social organization, and in “manufacturing” or “engineering” the consent of the populace to existing inequalities of wealth and power, particularly in capitalist democracies, where resort to more overt and repressive forms of social control is more difficult (pages 167-171). I think Chomsky’s most lasting contribution to radical ideas will likely be this critique of the role of intellectuals and the media in controlling, diverting and suppressing dissent and discontent in ostensibly democratic countries. The “propaganda model” of the media that he developed with Ed Herman, most notably in Manufacturing Consent, is one of his few ideas outside of language theory to have received any appreciable notice in academic circles, buttressed with impressive empirical evidence (I have included Ed Herman’s retrospective article on the propaganda model in Volume Three of the Anarchism anthology). His contributions to specifically anarchist ideas are much more modest, and by his own admission not particularly original. 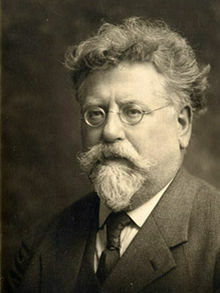 The conception of anarchism as the confluence of classical liberalism and anti-authoritarian socialism goes back well before Rudolf Rocker to such 19th century writers as Charlotte Wilson, who helped with Kropotkin to found the English anarchist paper, Freedom (see her article, “Anarchism,” reprinted in Anarchism: A Documentary History of Libertarian Ideas, Volume One: From Anarchy to Anarchism (300CE — 1939)). When put in proper context, his argument that anarchists should help strengthen democratic state power to restrain the worst excesses of capitalism is not as strange as it sounds, or that much different from what other some other anarchists have advocated and practiced, such as the anarchists who fought for the eight hour day. But when one looks more closely at some of Chomsky’s examples, it is difficult to see how the actions he favours can truly be said to strengthen democratic state power. In one interview, he refers to a lengthy strike that ultimately forced the authorities to begin enforcing their own health and safety laws (ZNet, Tom Lane interview). To me, this is more an example of the working class power of direct action being used to call the state authorities to account, rather than the strengthening of state power. As Rudolf Rocker put it in a passage from Anarcho-Syndicalism that is not quoted by Chomsky in his “Notes on Anarchism,” legal rights “do not originate in parliaments, they are rather, forced upon parliaments from without… The peoples owe all the political rights and privileges which we enjoy today… not to the good will of their governments, but to their own strength.” I don’t think Chomsky would disagree — in fact, he has said much the same thing, for example: “Protection against tyranny comes from struggle, and it doesn’t matter what kind of tyranny it is” (“Creation and Culture,” audiotape, Alternative Radio, Nov. 25 1992). Chomsky’s most significant contribution to anarchism is that he has been able to communicate anarchist ideas and achievements to a much wider public than probably any other contemporary anarchist writer. His 1969 essay, “On Objectivity and Liberal Scholarship,” also reproduced in Chomsky on Anarchism, was for many of us, including myself, our first introduction to the constructive achievements of the anarchists in the Spanish Revolution, something that had been suppressed and distorted by both liberal and Marxist historians. His “Notes on Anarchism,” which originally appeared in the New York Review of Books in 1970, then as the introduction to Daniel Guérin’s Anarchism, and then reprinted many times thereafter (including in Volume Two of Anarchism: A Documentary History of Libertarian Ideas), presented an eloquent and persuasive case for the continuing relevance of anarchist ideas, even if he appeared to agree with Guérin that the main purpose for rehabilitating anarchism was to revitalize Marxism (page 128 – I say “appeared to agree” because Chomsky has also said that the “concept ‘Marxism’ belongs to the history of organized religion” — Language and Politics, page 395). It was ironic that George Woodcock, whose earlier book, Anarchism: A History of Libertarian Idea and Movements, portrayed anarchism as one of history’s great lost causes, should then criticize Chomsky for his narrow neo-Marxist conception of anarchism, when it was Chomsky and Guérin who were portraying anarchism as part of a living tradition of liberatory theory and practice rather than as an historical relic. Chomsky’s more recent works do not contain as many references to anarchists and anarchist ideas, perhaps because, as he put it, “virtually no one shared my interest in anarchism (and Spanish anarchism)… and the deepening of my own understanding of the (left) libertarian tradition back to the Enlightenment and before was completely isolated from anyone I knew or know of’ (quoted in Robert F. Barsky, Noam Chomsky: A Life of Dissent). Perhaps Chomsky on Anarchism will help introduce anarchist ideas to another generation. On the other hand, if Chomsky’s current audience is not much interested in anarchist ideas, then they aren’t likely to read this book. It maybe that Chomsky has too successfully compartmentalized his “anarchism” from his activism. Let’s hope not. Soviets rather than destroy that limited communist framework, which was simultaneously being absorbed by Stalin and other collectivist cronies. Chomsky’s idea of strengthening the State sounds like reformation ism and could easily be co-opted as was Lenin. I have to agree. Chomsky conflates putting pressure on government bodies to enforce laws favourable to working people, and strenghtening the state to take on corporate power. The problem with the latter strategy is that state power ultimately is the main prop for capitalism, and is not likely to be used to create a libertarian socialist society. That was the main dispute between the anarchists and the Marxists in the First International.